Well, we got past the summer and some of our yards got beat up pretty good. Just like we make plans for other things our lawn depends on us to plan for it to come out strong in the Spring. In this post, I will share some tips for a healthy yard next Spring with the help of a video as well. Nitrogen is so vital because it is a major component of chlorophyll, the compound by which plants use sunlight energy to produce sugars from water and carbon dioxide. It is also a major component of amino acids, the building blocks of proteins. Without proteins, plants wither and die. This is why it is good to add fertilizer with a good amount of nitrogen to your soil. The plant or grassroots get the nitrogen from the soil so you will be helping your lawn out. The perfect way is to soil test to see how much it needs. The healthier the soil the better your grass will thrive on receiving all the nutrients it needs. In the months of September & October, you would benefit to put fertilizer on your lawn to supply necessary nutrients to feed your lawn. This will help it to be stronger and survive the winter months better than not to fertilize it. Once November gets here you want to apply some winter fertilizer as it will slowly feed your lawn during the winter helping your lawn to beef up for the spring. To super reinforce our plan for a healthy yard go ahead and apply more winter fertilizer in early December. You will be making your lawn winter tough and it will have a better chance of bouncing back strong. 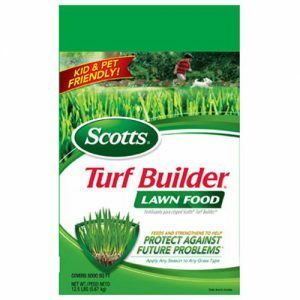 There are all kinds of fertilizers you can choose from but I am going to recommend Scotts brand fertilizers. To order your fertilizer just click on the images below to have it sent to you from Amazon. Now here is the video I promised you that shows it is recommended to do this for a healthy and beautiful lawn. Hey, thank you for visiting and I hope I provided some valuable information to you. 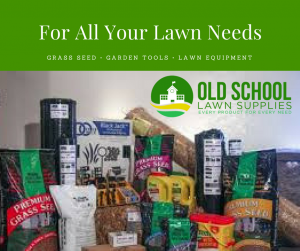 Don’t forget that you can get all your lawn needs from Old School Lawn Supplies including lawn furnishings. Please leave any questions or comments in the section below. I wish you the best. This is a very interesting post. I did not know how important it was to fertilize your lawn in the winter. Thanks for the tips. My pleasure. That is what I do this for. There are many people who don’t know much about taking care of their lawns. I was one of them once upon a time and it can be very eye-opening to someone who never took the time to find out about it. You are very welcome. Great information at an important time of year. I really need to fertilize my lawn this fall. In the past, I have had a lawn company come out and do that, but I feel like I can do it on my own with this information and product guideline. This also reminded me that I need to test my soil – I haven’t done that yet after living here 7 years and that could prove very helpful. Thank you! If your lawn has not thrived to your approval then it could be a soil issue, however, if you had professionals come out they should have tested it already but it wouldn’t hurt to find out what it could use. So I think you have a great idea to check it out. I am glad this post was able to help you. Thanks for the article Ronnie! Love the sight of a full-green yard in the spring. I will certainly try your tips on the necessity of nitrogen and fertilization. I am glad it was helpful. Just a little help from us and our lawns will look the best that it can in the Spring. I didn’t know I should be fertilizing in the winter. I am in northern Canada, so do I just put it on the snow, or is my situation different? I heard once that I should seed in the fall. Is that true? I don’t know the weather in Canada but you want to fertilize in the early fall and winterize fertilize in the late fall before the snow hits. 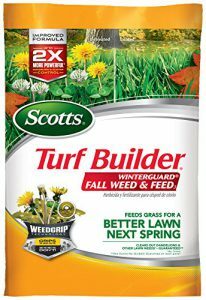 The winterize fertilizer will slow release nutrients to the roots as the snow is around so the grass will be ready to flourish in the Spring. Yes, you can seed in the really early fall or in the early Spring. I hope that helped. I didn’t know that there was such a thing as winter fertilizer. That is really nice that it can help beef up my lawn for the spring. I wonder if it is already too late to put some winter fertilizer on my lawn. Thank you for the tips! Hi, Deb. You should have done this in late October or Early November. Your next opportunity is in the Spring. When the soil temperature is at a steady 55 degrees you can do it then. I hope I answered your question satisfactorily. You are very welcome. The more knowledge the better for the do it yourselfers. 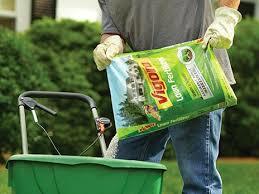 I see you are in the business of supplying great products that will help people get the nutrients to their lawns. You have what is needed to get those lawns healthy and looking good. Thanks for visiting us. I didn’t know that you’re supposed to start fertilizing in September and October. That’s good to know since I want to start taking better care of my lawn. It’s in pretty bad condition, so I’m planning on starting by hiring professionals since my schedule is a bit crazy at the moment. Whatever it takes to get it done is what is important. I write these post because there are some people who would love to take care of their own lawn. I have a lawn service but I think it is a service to help people who want to do it themselves as well. Just like you have no time there will always be someone who will call to get it done so I am not really cutting my own lines of business off. Thanks for the tips on fertilizing your lawn and getting ready for the next year. I had no idea that you had to fertilize as early as winter to get a good soil. My brother is trying to get a green lawn in his yard; I will be sure to share this with him. You are very welcome. I try to let people know what their lawn needs to be healthy. Feel free to check out other posts on this website because there are many ways to get healthy soil & grass if you are willing to put the work in. Thanks for visiting. My husband told me that I should start preparing the lawn for the winter season, and so I decided to look up what I need to do. You said that fertilizing during the months of September and October is best because it will help the lawn survive the harsh winter. I’m glad to know there is something I can do. As for the rest, though, I think I will leave that to the professionals. Thank you! You are very welcome. I post this information to help the homeowner or do DIY person understand more what will help a lawn thrive when the Spring arrives. The more you know the more you can assist your lawn at looking the best it possibly can. My neighbor and I have a serious competition to have the best lawn on the block. 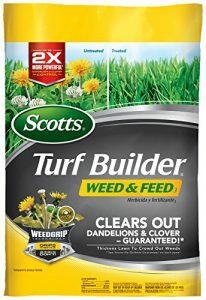 I want to look into turf supplies to help the lawn look great. Before reading this article, I did not now that during November is when I should fertilize for the spring. Good concern, Micheal. You can fertilize your lawn in the Fall or the Spring. It is really all about ground temperature more than anything. The Fall is good because it helps your lawn survive the winter. It is just as good in the Spring. But as I said temperature is the key. The ground needs to be at least 55 degrees Fahrenheit. So if you missed this Fall you can do it in the early Spring as well. If you noticed some say it is better in the Spring and others in the Fall. Just remember the key is the temperature. Good concern. Here goes a link to give you some insight on fertilizing in the Spring.